Minimum quantity for "1" Long Metal Slatwall Hooks, 1/4" Diam, SHM-14-1" is 96. 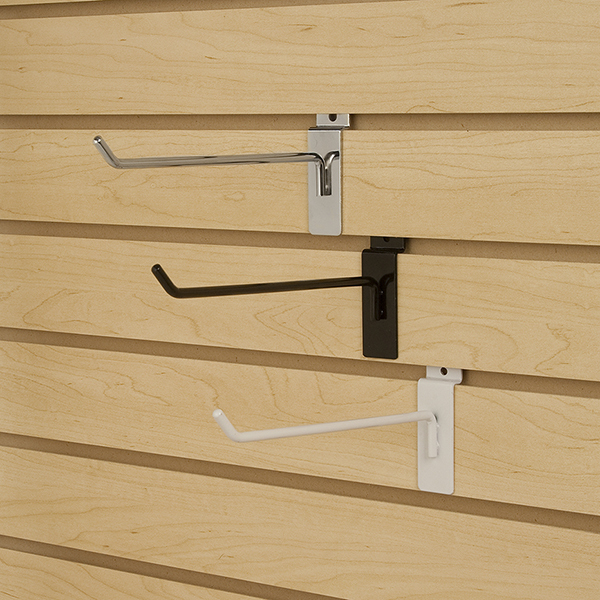 Our Clip Strip Corp. slatwall hooks are made to fit standard style slatwall displays and walls. They are made of the best metals, using hooks is a great merchandising method to have your product protrude into aisles at retail. 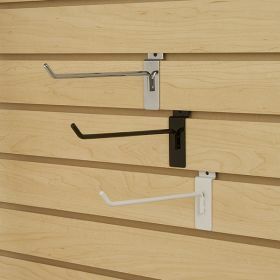 This style display hooks reaches out 1" for use with thin packaging or very few SKU displaying. 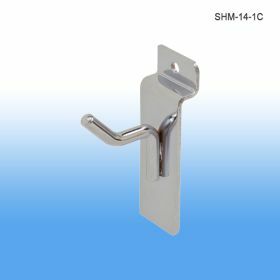 Our pricres are amomg thew lowrst in the point of purchasde busines BUT alo guive youy the highest qualkioty at same time.We carry a full line of slatwall hooks from different colors or lengths. We are always in-stock and ready to ship, which we do fast. Trust CSC for all your slatwall hook and POP display needs.